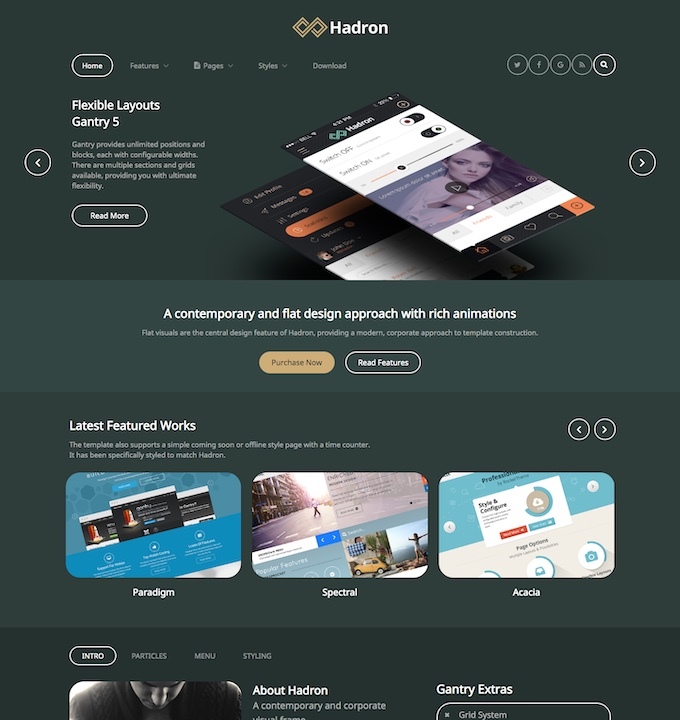 Hadron is a contemporary and flat design approach with rich animations. Flat visuals are the central design feature of the template, providing a modern, corporate approach to template construction. Presets offer a full background of color diversity.